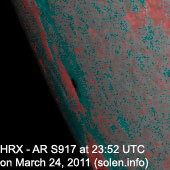 Last major update issued on March 25, 2011 at 04:15 UTC. 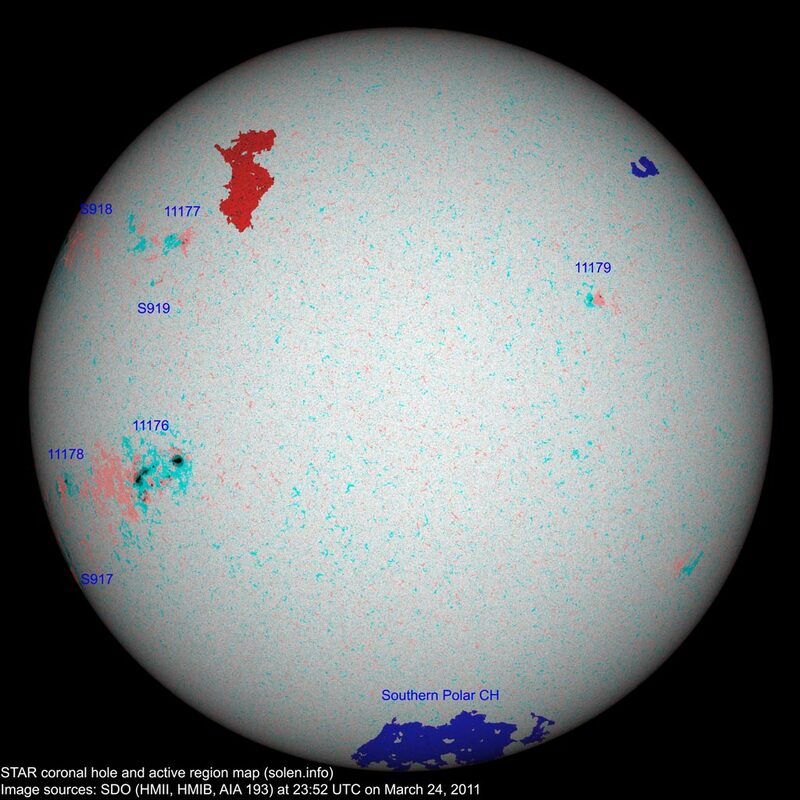 The geomagnetic field was quiet on March 24. 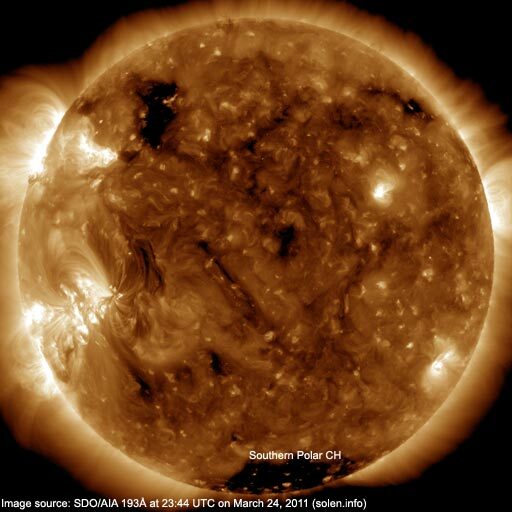 Solar wind speed ranged between 405-482 km/s under the influence of a weak coronal hole stream from CH441/442. 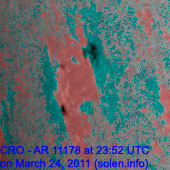 Solar flux measured at 20h UTC on 2.8 GHz was 107.6 (increasing 19.4 over the last solar rotation). 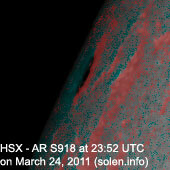 The planetary A index was 4 (STAR Ap - based on the mean of three hour interval ap indices: 3.6). 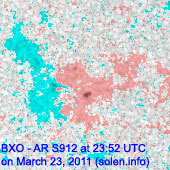 Three hour interval K indices: 10112111 (planetary), 10211111 (Boulder). 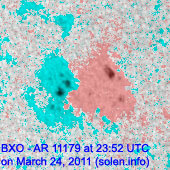 Region 11176 developed as quite a few new spots emerged, there's a lot of polarity intermixing. 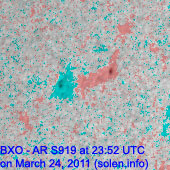 A major flare is possible. 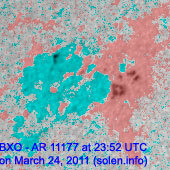 Flares: M1.0 at 12:07, C1.6 at 15:37, C9.1 at 17:06, C1.3 at 18:57, C1.4 at 20:57 UTC. 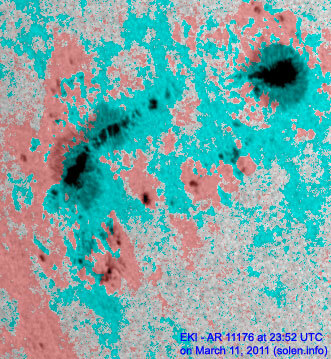 New region 11178 emerged near the southeast limb early in the day. 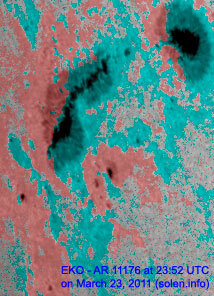 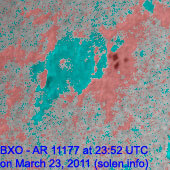 New region 11179 emerged in the northeast quadrant on March 21 and was detected by NOAA/SWPC 3 days later.